In the hours leading up to the shopping event, Alibaba’s video streaming platform Youku hosted the fourth annual countdown gala to celebrate the official launch of the festival. 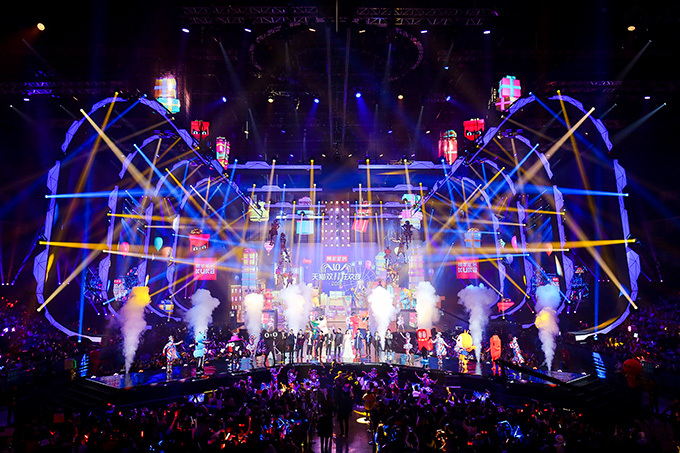 Viewers were able to experience the gala live via Youku, as well as across China on two major Chinese TV stations. This year, the gala featured international celebrity appearances and performances from Miranda Kerr, Mariah Carey and Cirque du Soleil. For additional content from the event, please follow the Alibaba Group official Twitter account at www.twitter.com/AlibabaGroup, or visit the 11.11 Media Resources page on Alibaba corporate news site Alizila with live results, videos, fact sheets, b-roll and other content related to this year's 11.11. GMV for the 11.11 Global Shopping Festival is the total value of orders settled through Alipay on Alibaba's China retail marketplaces, Lazada and AliExpress within a 24-hour period on November 11. It is reported on a real-time basis and includes shipping charges paid (where applicable). Alibaba Group's operating results disclosed in this press release are denominated in RMB. All translations of RMB into US$ are made at US$1= RMB6.9329, the central parity rate announced by the People’s Bank of China (PBOC) on November 9, 2018. All GMV and other figures presented in this press release are unaudited and subject to adjustments.